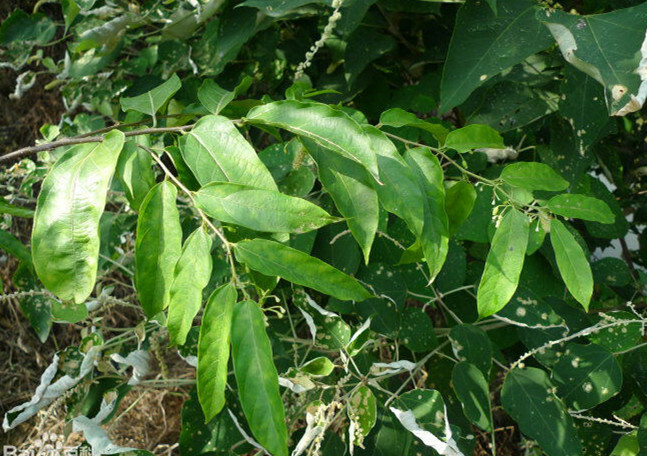 The drug is the dried root and leaf of Alangium faberi Oliv. (Family Alangiaceae) ,growing in forest a1ong ravines or on hillsides, and distributed in Hubei, Hunan, Guangxi, Sichuan and Yunnan of China. Expel wind and eliminate dampness, activate blood and alleviate pain. Traumatic injury, stomachache, rheumatic arthritis. Decoct 6~15g. Proper dosage is for external application, pounded for applying.